Annual house price growth has fallen in the UK, down to just 0.3% in January, and down by 2.9% month on month, the latest lender index shows. Meanwhile, over a three month period from November 2018 to January 2019, prices fell by 0.6% compared with the previous three months, taking the average to £223,691, according to the data from the Halifax. Russell Galley, Halifax managing director, said that the main picture is that house prices have seen next to no movement over the last year. ‘This could either be viewed as a story of resilience, as prices have held up well in the face of significant economic uncertainty, or as a continuation of the slow growth we’ve witnessed over recent years,’ he said. 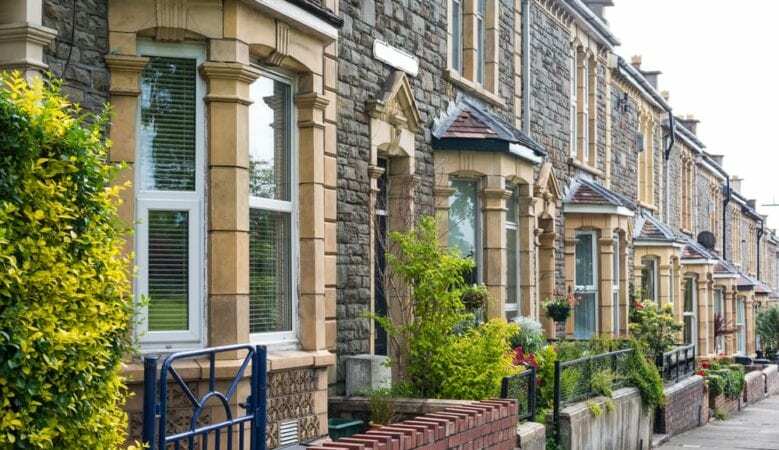 ‘There’s no doubt that the next year will be important for the housing market with much of the immediate focus on what impact Brexit may have. However, more fundamentally it is key underlying factors of supply and demand that will ultimately shape the market,’ he explained. He pointed out that on the supply side, the most constraining factor to the health of the market is the shortage of stock for sale, although this does support price levels. ‘On the demand side we see very high employment levels, improving real wage growth, low inflation and low mortgage rates. All positive drivers tempered by the challenges of raising deposits. On balance therefore we expect price growth to remain subdued in the near term,’ he added. Mike Scott, chief property analyst at online estate agent Yopa, does not believe that there will be a crash in the housing market even although growth has slowed considerably. ‘Despite a shortage of stock, very high employment levels, improving real wage growth, low inflation and low mortgage rates, the Halifax expects subdued price growth in the short term, due to the difficulty that many would-be buyers face in saving a large enough deposit. However there is no likelihood of a significant fall in house prices while these economic fundamentals remain strong,’ he said. The data needs to be put into context, particularly relating to Brexit, according to Sam Mitchell, chief executive officer of online estate agents Housesimple. ‘We need to put these extreme monthly changes into the context of the economic climate we find ourselves in at the moment. Brexit is a monumental event and actually when you look at how the housing market is standing up in the face of some pretty strong headwinds, it’s proving to be surprisingly resilient,’ he said. ‘But the lack of any definitive Brexit deal on the table, and the odds being slashed on a No Deal, is playing on everyone’s minds. This is inevitably having an impact on transaction levels, and will likely continue to do so until there is clarity,’ he explained. ‘That’s not to say that activity is subdued across the country. We are actually seeing healthy transaction levels in many northern areas such as Yorkshire, where there seems to be an almost stubborn refusal to let Brexit govern their lives,’ he pointed out. ‘What’s clear on the ground is that there’s plenty of pent up buyer demand, but buyers are watching Brexit developments and taking their time to commit. And savvy sellers should take note as the current climate could provide a window of opportunity to market to a captive audience, while there is less competition around,’ he added. Seasonal factors need to be taken into account, according to Andy Soloman, chief executive of Yomdel and he believes that the usual spring boost in the market could be later this year due to Brexit. Paul Telford, chief executive officer of OkayLah, thinks that price growth will remain subdued over the next few months. ‘There are positives to take from the current landscape and despite a notable reduction in buyer and seller activity the market remains resolute. Prices are up on an annual basis and we’re yet to see any signs of a crash,’ he said. ‘However, the longer we remain left in the dark about our future with the European Union, the more detrimental it will be to the UK property market and wider economy. There is still a degree of buyer interest out there and we would urge anyone considering a sale to give it a go,’ he added.